Secondly, it has been said that I assured a delegation sent by His Holiness Dalai Lama that I would not make a claim on the throne of the Karmapa, yet a court case was filed for the control of Rumtek monastery in Sikkim. I will now explain clearly and concisely why these accusations are false and riddled with errors in both facts and in interpretation of any statements made by myself on this matter to this day. We then decided to have His Holiness Karmapa Trinley Thaye Dorje enthroned in Bodhgaya in December of 1996. After the enthronement in Bodhgaya, I went to meet His Holiness Dalai Lama once again. I informed him that I had now followed through with traditionally recognizing and enthroning the Karmapa in India, just as I had said I would do in my written letter handed over to His Holiness in June of 1992. At this time I requested His Holiness Dalai Lama to give Karmapa Trinley Thaye Dorje the semimonk’s vows, which he completely agreed to do with delight. 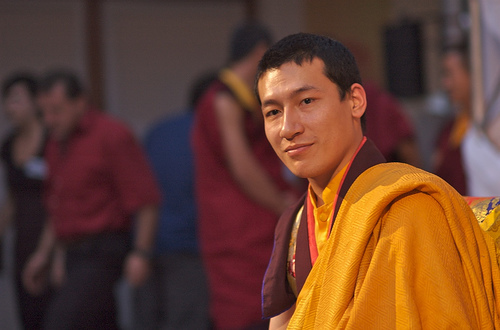 He said it would be very good to do so and that he would be happy to meet my Karmapa. He commented that as there are now two incarnations recognized as the head of the Taklung Kagyu School and there is no conflict between them and both are doing very well, there should be no problem between the two Karmapas either. 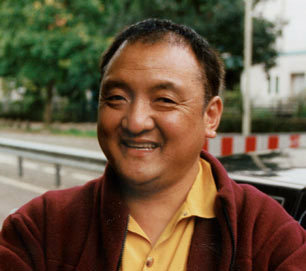 He then asked when I would like to bring the Karmapa to see him. I said I would bring him directly after the coming Tibetan New Year. His Holiness immediately understood that I had chosen an auspicious time for them to meet. He expressed his happiness over this decision, agreeing that we should not do anything at the end of the year or at the end of the month and indicated his appreciation for the auspicious choice of doing so in the beginning of the New Year.